It took a while for the first Green Arrow action figure based on Stephen Amell to emerge, and almost as long to get a Grant Gustin-style Flash statue. I still don’t think there is a Melissa Benoist version of a Supergirl Pop! Vinyl Figure. Yet you can already order a Black Lightning statue based on the look Cress Williams will be sporting in the new CW series, debuting January 16th at 9 p.m. This must mean that the powers that be at DC must have a lot of confidence in the new series from executive producers Greg Berlanti, Salim Akil, Mara Brock Akil, and Sarah Schechter. DC released a video showing off the new statue that looks to be retailing for around $110, is limited to 5,000, and is expected to ship in June. The sculpt was done by ALTERTON and stands just under 12.5″ tall. The series was originally set up at Fox and was considered separate from the Arrowverse, but the show has since moved to the CW. While it’s not officially tied to the other shows, they’ve made a few tweaks to make it seem more compatible — and it is a Greg Berlanti series. How well it does will likely dictate any possible crossovers. 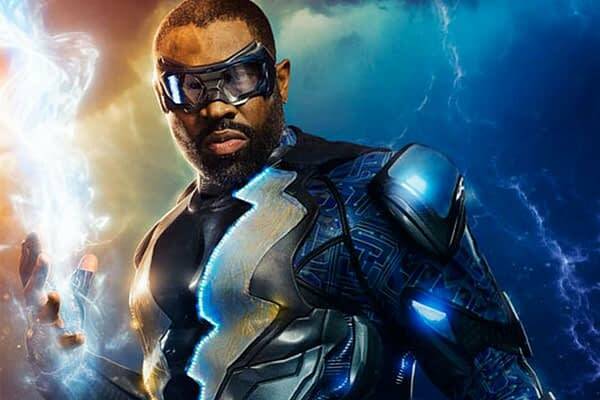 The Black Lightning Trailer from CW Has Arrived!